Digit88 was founded with the vision to deliver exceptional value to our partners by creating truly cohesive and empowered teams that demonstrate total product ownership and a results driven approach to solving problems. To simplify outsourced software development using a combination of skilled product engineers, great team work, exceptional program management and our core belief in conducting business transparently with timely and excellent communication. We’re a lean startup, backed by executives with deep understanding of and extensive experience in consumer and enterprise product development in large corporations and startups. We build highly efficient and effective engineering teams that solve real and complex problems for our partners. With more than 40+ years of collective experience in domains ranging from desktop, web and mobile apps, e-commerce platforms and solutions, enterprise platform engineering, mobile games, automotive middleware and telematics solutions, the founding team thrives in a fast paced and challenging environment that allows us to showcase our best. Dheeraj is a business and technology professional with 14+ years of cross functional experience with Fortune 500 companies and start-ups. At Digit88, he handles business development, product and technical operations among other things. Prior to founding Digit88, Dheeraj was a member of the management team at Apostek, India where he was an integral part of the team that established and led the profitable Mobile Applications/Games business. He was directly responsible for all key aspects including revenue strategy, products, technology operations, user acquisition and customer engagement. Over a period of 4 years, Dheeraj directly product managed two worldwide “Top 5” casual/casino games on the iOS and Android app stores leading Apostek to be recognized at a leading player in the mobile casino market. Dheeraj joined Apostek at its inception, managed and lead multiple offshore product engineering and professional services teams for a top mobile ad network based company out of Waltham, MA, which is now a part of Apple Computer, Inc. He was well regarded for his expertise and contribution in technical and program management for enterprise web app development and mobile web publishing for some of the top publishers, brands and agencies in the US. Dheeraj started his technology career with LG Electronics and spent more than 7 years in Bangalore and Seoul building cutting edge products in a diverse array of domains including Home Networking, Digital TV middleware and Telematics excelling in product engineering and managing complex client relationships. Dheeraj earned his bachelor's degree in Mathematics and graduated with honors and distinction at St. Stephen's College, University of Delhi. 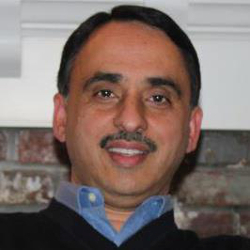 Raman is a seasoned executive leader with 25+ years of Software Engineering, Services, and Data Center Operations experience in a blend of big and small companies, including multiple venture backed startups with distributed teams in US, India and China. Over his career his teams have delivered solutions to some of the leading entities in the telecommunication, enterprise, cable and utility domains. Raman is the lead inventor on a US Patent and has won several awards and accolades. 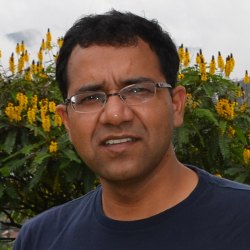 He holds a BE in Electronics and Communication Engineering from Punjab Engineering College, India and an MS in Computer Science from Temple University, Philadelphia.